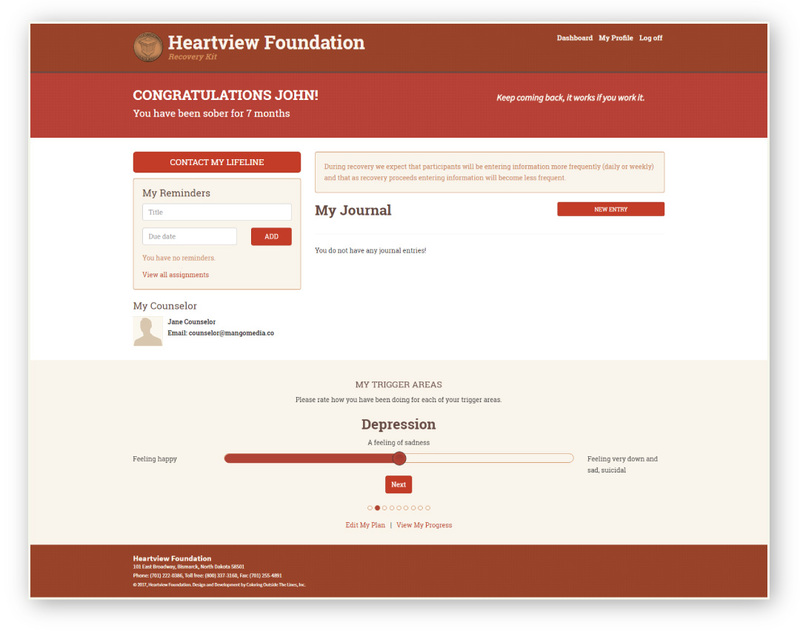 A web portal to help substance abuse patients achieve recovery. 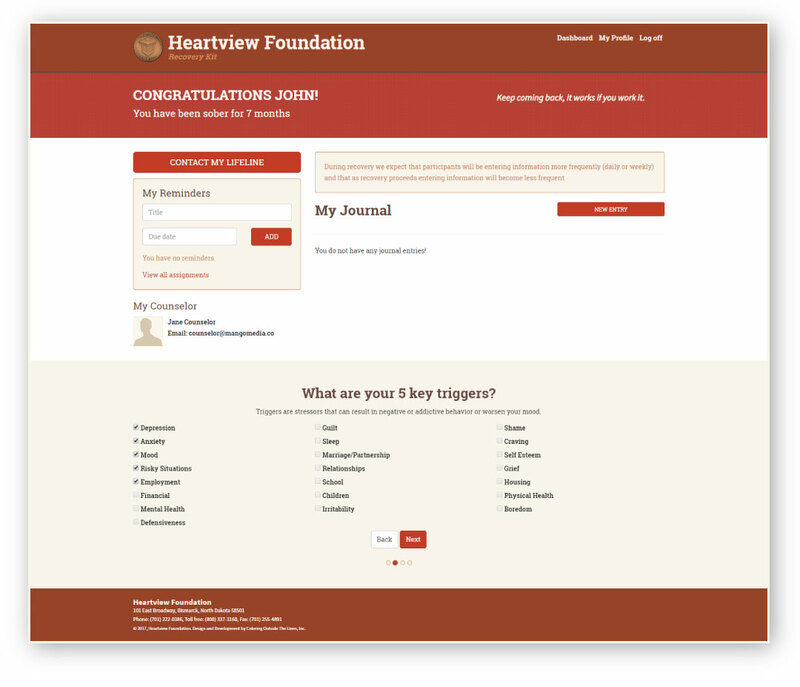 Heartview Foundation is the most-experienced, private, non-profit alcohol/drug treatment center in the state of North Dakota. Established in 1964, they have treated over 24,000 patients and their families. 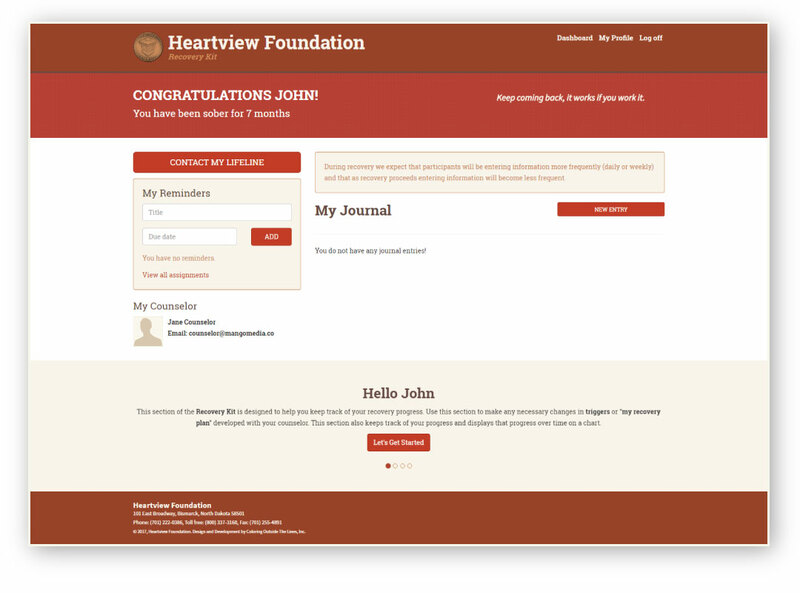 Heartview Foundation came to us to develop a custom web application to allow their patients to transfer their recovery into an online web portal. The portal allows patients to communicate with their counselor, track progress in recovery and to send messages to their sponsors and counselors when they are struggling. We built user states for patients, counselors and full admin in this HIPAA compliant web portal. We worked extensively on the full UX of this platform, starting with scoping and investigating users types and personas, then moving into a complete functional specifications and user interface design prior to coding the site with 3 user types (admin, counselor, and patient) with custom portals for each user.